NASA's Astronomy Picture of the Day popular website published the SkyCenter's image of a rarely photgraphed nebula called vdB1. Few pictures of this star forming region exist at this resolution and field of view with this exposure depth. Many different astrophysical processes are taking place in the region to give this feild its unique look. Dust near the brightest stars scatters bluish light whereas young energetic stars to the right shape their environs forming odd structures. The bluish streamers in the image are similar to structures found in the more well-known Pleiades. 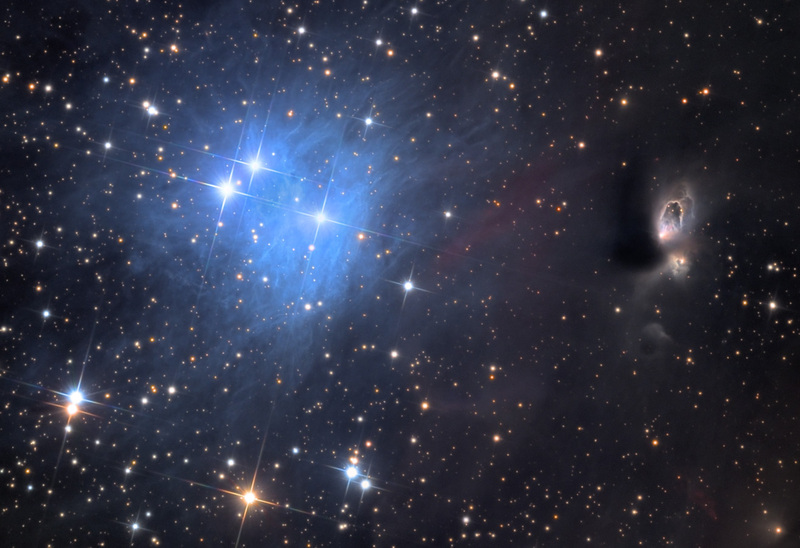 This work was undertaken by Adam Block in coordination with an award he will receive for his work in astrophotography.